Lakeside boss Will Pottinger has warned his team about the “unknown quantity” patch-up Peterborough side for their crunch Play-Off semi-final decider. 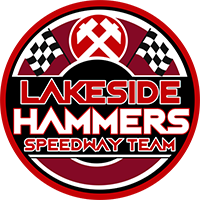 The Hammers lead the tie by two points after winning at the East of England Showground in the first leg with the second leg at Hoddeson tonight at 6pm. Panthers have a side that reads like the credits of TV show Casualty with five out injured. However they have assembled a very decent team of guests who are potentially a big threat to Hammers’ final dreams. Pottinger said: “We’ve got to be on top form against Peterborough. They have strengthened up with their guests so it’s going to be a very tough match. “They are a bit of an unknown quantity with such a patched-up team which means we have to be on our guard. “We certainly won’t be complacent. We have a small lead but our form at Rye House hasn’t been anything like it was at Lakeside. So we can’t take anything for granted. “I’m hoping that having ridden on Friday night at Rye that the boys will start to get dialled in more so it feels like a proper home track. “We’ve got to go up a gear over the next week. We have the potential to make another final and we must take this opportunity. “This is when we have to produce. We have a really good team and we have leaders out there who can spearhead the side. “We believe we are good enough, we’ve just got to do the business on the night. “Alfie Bowtell, Ben Morley and Zach Wajtknecht are working very hard to bring in the points and they’ve shown that they can. If we find our A game we’ll be in a good position. 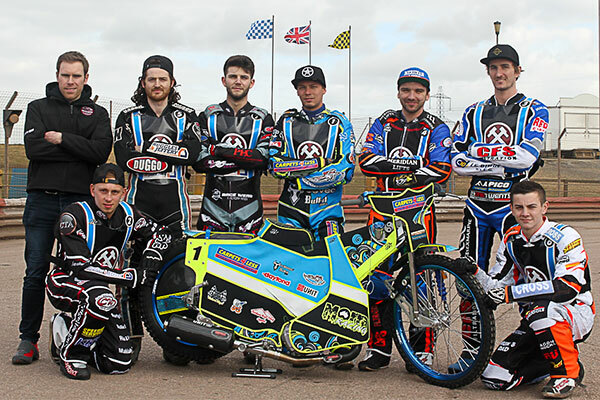 1.Richard Lawson, 2.Zach Wajtknecht, 3.Adam Ellis, 4.Kyle Newman, 5.Nick Morris, 6.Ben Morley, 7.Alfie Bowtell. 1.Thomas Jorgensen, 2.Emil Grondal, 3.Rider Replacement, 4,Tero Aarnio, 5.Nico Covatti, 6.Carl Wilkinson, 7.Simon Lambert.